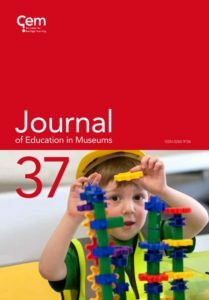 The annual Journal of Education in Museums (JEM) contains articles by practitioners which offer critical appraisal of the theory and practice of museum education. Have you read anything interesting about museum studies or education recently and think it’s worth sharing? We are always eager to share book reviews written by our readers, or take suggestions of books you want us to read for you (let’s be honest, sometimes you just want the key points without having to read all the waffle). Book reviews are a great way to share knowledge and expertise about our industry as far, wide and quickly as possible. We aim to publish critical reflections and responses to museums education practice and theory. Submitted reviews don’t need to be too long, and our book review editor is on hand to help. To submit a review or make a suggestion, please email Lauren Mihaljek, our JEM book review editor, at lsmihaljek@gmail.com. The current issue is only available to members of GEM but back issues may be purchased. Download our JEM order form. Postage and packing will be added to your total order (free for GEM members). Please contact the GEM Office stating which JEMs you would like to order and where you would like them sent to get the cost of postage and packing.